Malatesta’s trip was more than just a friendly visit encouraged by an old colleague. His Cuban presence provides us with a snapshot of how anarchists established and maintained transnational networks throughout the Americas in the early twentieth century. His international “celebrity” status drew large audiences and raised money for the struggling newspaper, which could then continue to spread not only among readers in Cuba but also to the important anarchist enclave of southern Florida in the United States where anarchists from Spain, Cuba, and Italy had worked for years. Barcia would soon leave Havana and go to Tampa, Florida where he would become an organizer for the next 30 years, helping the Cuban movement by sometimes heavily financing the island press, and serving as a network link for Latin anarchists stretching from New York through Florida to Cuba and Puerto Rico.2 Del Valle would remain in Havana for the next four decades, becoming the most prolific and internationally best-known anarchist on the island. His fiction would be published from Spain to Cuba to Argentina and his play “Fin de fiesta” performed throughout the Americas.3 The Italian anarchist’s visit in 1900 helped to solidify the anarchist presence in Cuba, but also had larger transnational implications. Anarchists operated in several realms of activism simultaneously—the individual, the local, the national, the transnational, the transregional, and even the hemispheric. Several years ago, as I thought about expanding the scope of his research beyond “anarchism in one country” (Cuba), I began to think that the “national” framework for our studies was itself misplaced. After all, anarchists did not consider themselves by nationality, so why should historians do so? I began to write a history of anarchism in the Caribbean that privileged networks over nations. But, in turn, tracing networks without context has become a rather unsatisfying practice! The truth is that to do satisfying research on transnational networks, historians need to root these networks in places, and that means developing “the local” and “the national” as researchers simultaneously trace the establishment and maintenance of networks that linked these various locales. In short, anarchists did not live and work daily on the lines that connected one dot to another. They lived and worked on the dots. Anarchists had to live daily under the economic realities of local and international capitalist investment, the laws of local and national governments, and the challenges arising from a diverse array of local actors ranging from local bishops, local police, national intelligence officers, and mainstream editorial writers on one hand, to nationalist trade union leaders and Socialist Party bosses in the local union halls and stages, on the other. Each dot was influenced by the other dots whether it was the men and women who traversed between places, the money that flowed from one place to another to buy newspapers or finance local and international causes, or the communiqués and letters published from abroad in various newspapers that inspired, challenged, or helped to raise the international consciousness of readers. Transnational flows influenced local and national events and conditions. Networks could also provide havens for anarchists needing to escape a particular local situation whether due to police harassment or, as sometimes happened, due to personality or ideological conflicts between anarchists in a particular city. At the same time, anarchist networks could serve as a way to “police” individual anarchists such as the 1911-12 events in Panama when the anarcho-communist network linking Spain, Cuba, Los Angeles, the Canal Zone, and Argentina coordinated efforts to attack an anarcho-individualist in Panama who had attacked his anarchist brethren in the Mexican Revolution. Thus, to do good transnational studies, historians have to spend equal time on the lines as on the dots, not forsake one for the other, not drop our focus on the national for the transnational but instead to develop them as thickly and simultaneously as possible. To do network research without an understanding of the local and national dynamics influencing those network operations is unsatisfying and suffers from lack of context. To do local and national histories without understanding the central importance of transnational connections is—to change things a bit—to see the tree but not the forest. At the same time, we cannot forget the central roles of individual anarchist biographies nor the larger regional and hemispheric dimensions trying all of this together. Transnational network research is best when it incorporates as many of these multiple scales of analysis as possible. This article explores anarchist networks in Latin America from the late 1800s to the 1920s. Unfortunately, there is not ample space in this short piece to delve into what I believe is the need for co-equal local-national-regional development to understand Latin American anarchism during this period. Instead, this article examines the transnational and transregional linkages of networks, focusing on how anarchists in local and national contexts worked to maintain these networks. These were networks comprised mostly of Spanish-speakers, with a heavy dose of Portuguese-speakers in the Southern Cone. Yet, a third “Latin” component could be found unevenly distributed throughout these networks: Italian anarchists. As I develop this article, I also highlight various roles and examples of Italian anarchists who traveled to and worked among fellow anarchists in Latin America. Finally, to draw all of this together, the article looks at Panama and the Panama Canal Zone as a case study for how anarchists from the Americas and Europe worked in this specific local context—a context heavily controlled by the United States—and linked themselves to other regional networks. In the end, they sought to forge one of the first hemispheric senses of anarchist Pan-Americanism. As one looks at anarchism in Latin America and the Caribbean, one of the most striking differences throughout the hemisphere centers on the role of European migration. While anarchists from Spain migrated throughout the Americas, the largest numbers went to New York, Havana, and Buenos Aires. Italian migrating anarchists similarly went to New York and Buenos Aires, but one finds also significant populations of Italian anarchists in Brazil. As a result, these locations experienced a rich blend of European and native-born activists. Italian-language newspapers appeared in Brazil, Argentina, and the United States. Elsewhere like Montevideo, Uruguay or in small cities like Tampa, Florida, one could find newspapers published in Italian, Spanish, or both, and anarchists in Tampa and Key West collaborated with anarchist newspapers in Havana, the Panama Canal Zone, and Los Angeles, California. In addition, small pockets of Italian activists traveled to the US-Mexico border region in the early years of the Mexican Revolution. But migration came with costs because it allowed opponents of anarchism and the working class in general to portray anarchists as foreigners who introduced violent, foreign ideas. Thus, migration bolstered anarchism in these places by helping to introduce fresh waves of activists and money, while at the same time helping local anarchists gain a broader global consciousness as they heard stories from their Spanish and Italian comrades regarding issues similar to the ones that they faced. Yet, nationalists (both working-class and elite) could use that reality of the traveling radical to undermine the cause. Whether anarchist groups and movements relied on heavy migration or not, all struggled to make international anarchism relevant to specific and very different local contexts. For instance, while chattel slavery ended in most of Latin America in the 1820s, it did not end in Brazil, Puerto Rico, or Cuba until the late nineteenth century, and certainly the conditions of various indigenous groups on white-owned estates in the Andes and Mexico—while not technically chattel slavery—were far closer to slavery than to free wage labor. But this in and of itself raises a fascinating consideration. Turn-of-the-century leftists liked to criticize capitalism for its “wage slavery.” In places like rural Mexico, but especially Brazil, Puerto Rico, and Cuba where slavery’s recent legacy was embedded in recent memory, the imagery anarchists generated of “slavery”—wage or otherwise—must have taken on a particular relevance and urgency. While anarchists expanded to the far reaches of the Americas, this expansion was uneven. Sometimes only a few anarchists—often working with other progressive forces—could be found. For instance, there was little anarchism to be found in the Dominican Republic or Central America. The isthmian exceptions to this were Costa Rica—though here the network was mainly composed by intellectuals largely removed from the labor movement—Panama, and the US-controlled Panama Canal Zone. The Panamanian and Canal Zone theaters raise another important feature of Latin American anarchism to consider: the role of colonialism and post-colonial anarchism in Latin America thanks to the military, political, and economic presence of an expanding United States in the early twentieth century. Most countries of Latin America gained their political independence in the 1820s. The Dominican Republic (1865), Cuba and Puerto Rico (from Spain 1898), and Panama (from Colombia 1903) followed much later. Except for this latter group, the description of “postcolonial” anarchism is appropriate for Latin America. When radicals developed anarchist groups and promoted the Ideal, they did so within fairly established areas of national identity in countries that nevertheless were still heavily dependent on foreign investment and export markets, especially in Europe. Such dependency constrained the freedom of action by local elites, but one should also remember that such elites, while promoting their own created nationalisms, also tended to profit handsomely from this dependence. So, these ex-colonies generally maintained the same economic relationships of export-based agriculture, highly stratified societies, and centralized political decision-making that had existed during three hundred years of colonial rule. In short, anarchism in much of Latin America operated in a post-colonial environment that was shaped by a neo-colonial dependence that influenced and constrained decision-making in these countries. A final “geographical” feature of anarchism in Latin America concerns revolution. Anarchists have always evoked “Revolution,” “Social Revolution,” and similar terms as part of their linguistic canon in the war against authoritarianism. Yet, there have been very few examples where anarchists actually participated in large-scale, armed revolutionary struggles. Certainly we know of anarchist roles in the Chinese and Russian Revolutions as well as the Spanish Civil War. But for anarchists in the Atlantic world, it was Latin America where they found two large-scale revolutionary uprisings: Cuba in the 1890s and Mexico in the 1910s—both in “tropical North America.” Within less than two decades, anarchists in the region participated in these two violent upheavals, unique for any world region except Russia in 1905 and 1917. As Cuba fought to free itself from Spanish colonial rule, anarchists in Spain, Cuba, and in Latin communities in Florida and New York joined with nationalists. Anarchists saw the fight not in terms of nationalist struggle but as a larger anti-colonialist, anti-imperialist war that they had to participate in as promoters of freedom. In Florida, anarchists from Spain, Cuba, and Italy published newspapers, raised money, picked up arms, and went to Cuba to fight the imperialists. Then, in 1910, Mexican revolutionaries launched a multi-prong (and multi-ideological) fight against the dictatorship of Porfirio Díaz. Anarchists and anarcho-syndicalists played significant roles in the struggle. In the north, the PLM led the propaganda charge against Díaz and his successors. Armed PLM groups fought skirmishes across the Mexico-US borderlands while other PLM members joined with the Wobblies to invade Baja California in 1911. Meanwhile, anarchists from across the US and the Caribbean came to Mexico and the borderlands to fight or to engage in revolutionary work like founding rationalist schools. In addition, anarcho-syndicalists temporarily joined forces with the revolutionary government’s labor union based in Mexico City and coordinated labor actions across the country. Thus, when we look at anarchism globally and hemispherically, the northern zones of Latin America provided anarchists with real opportunities to fight in revolutionary struggles and to attempt to bring about anarchist-based social reforms. Consequently, one finds a wealth of diversity among anarchists in Latin America and the Caribbean—diversity in political experiences, in racial and ethnic composition, in experiences with European migration, and more. Despite the variations, though, all of these diverse local anarchist groups were linked into broader transnational and transregional flows of money, communication, peoples, and ideas. And here is where I draw a cautionary note about exaggerating the differences. No matter where these groups were and no matter their composition, one overriding feature stands out: they were shaped by and in turn shaped the plethora of networks that crisscrossed the Americas. While local and even national movements emerged in their own specific contexts, those contexts were themselves shaped by the transnational networks, which were in turn only possible with the aid and organization of the local. In the remainder of this article, I hope to illustrate three dimensions of anarchist networks in the Americas: the anti-authoritarian cartography of anarchist networks, how networks were maintained, and how one country—Panama—became for some anarchists the central node or hub for a conceived of anarchist Pan-Americanism. Overlapping networks of anarchists emerged throughout the Americas, but the various links within these networks often ebbed and flowed over the years depending on migration patterns, political events, and government responses. What I outline here is meant to illustrate the general regional networks that existed from the mid-1890s to the 1920s: (1) Trans-Atlantic, (2) East Coast of North America, (3) Greater Caribbean, (4) US-Mexico, (5) Pacific Coast of South America, (6) Andean, and (7) Río de la Plata. In addition to these geographically specific networks, we should also note the Industrial Workers of the World (IWW) and the Wobblies’ attempt to forge a hemispheric network. All of these were networks where activists tended to connect with other geographically near activists. But these regional networks were not isolated; they often overlapped with other regional networks and served as transit routes for flows of people, money, newspapers, communiqués, and ideas throughout the Western Hemisphere. Circular migration between Europe and the Americas shaped the Trans-Atlantic network. Mostly Spanish and Italian anarchists traveled to various parts of the Americas, with the largest Spanish populations settling in New York, Buenos Aires, and Havana while Italians tended to go to the mid-Atlantic and Northeastern states of the US and to Argentina. For decades, this network infused ever-increasing numbers of anarchists into American movements spanning the hemisphere. But—as with transnationalism generally—these were not one-way movements; rather, anarchists in the Americas regularly wrote back to Europe, sent money for various European political causes or simply to finance newspapers and presses, and shaped anarchist politics in the Old World by bringing Spanish and Italian-based anarchists into conflicts and schisms arising in the Americas. Anarchists in the US, Cuba, and Puerto Rico established regular links along the Atlantic Coast of North America. Because Puerto Rico was a US colony and Cuba was a neo-colonial outpost of the US, the relations between the three were often conditioned by US imperial politics in the region. Caribbean anarchists could be found from Florida to Philadelphia and New York, residing in the emerging Latin communities in those locations. After 1917, when Puerto Ricans became US citizens, island anarchists could freely travel back and forth between island and mainland. These Caribbean anarchists were also connected by a regional network that stretched west to Panama and the Panama Canal Zone. This Greater Caribbean network saw Havana as the hub, with anarchists regularly traveling back and forth and communicating with anarchists in the tobacco cities of Puerto Rico and south Florida as well as those anarchists who traveled to build the Panama Canal after 1904. The multi-prong importance of Havana cannot be overstated. The city was a key node in three overlapping networks and this contributed to the long anarchist presence there (1880s-1960s) and the city’s plethora of anarchist newspapers, schools, institutes, and cultural productions. Meanwhile, the ten-year-long construction project in the Panama Canal saw anarchists from around the world arriving in Panama. While most of these traveled through the Trans-Atlantic and Caribbean Basin networks, anarchists from the Pacific Coast of South America also arrived in the Zone. The first general strike against the Canal in 1916 was led by anarchists from Europe, the Caribbean, Central America, and South America. In fact, over the next decade, anarchists from Peru maintained links with anarchists in Panama, coordinating a loose network on the western shores of South America, from Lima to Panama City. As we assess these regional networks, it is important to remember that these were not autonomous networks but in fact frequently overlapped, as suggested above. For instance, Havana, Cuba was a network hub for the Caribbean but played a vital role in both the Transatlantic and East Coast of North America networks. Besides being regional networks for sharing resources, sending or receiving people, and policing the movement, regional networks also provided locations for people outside of the networks that allowed them to relocate into communities of fellow activists. Consequently, when an anarchist traveled from Argentina, say, and arrived in Central America, he might find a small group of dedicated anarchists led by people who themselves had traveled the networks from Spain or the Caribbean. Several factors were involved building and maintaining networks, but a network was only as good as its nodal cities where groups were organized, vegetarian restaurants opened, newspapers printed, schools founded, and alternative health institutes established. As a result, it was not the lines but the dots (the nodal cities) that were keys to this maintenance. They were the anchors for the networks.15 Of the several factors involved, I want to outline four components: the role of “celebrity” migrants, the work of “rank and file” migrants, the role of the anarchist press, and finally the impact of anarchist culture. All four components illustrate how these transnational and transregional networks functioned while simultaneously showing how the nodal cities within nation-state structures were developed to give shape and sustenance to those networks. The convergence of transnational movement and local/national anarchist politics can be seen clearly when we consider the roles of what one can call “celebrity anarchists.” Errico Malatesta’s visit to Cuba in 1900 is a case in point. The transnational Italian role may be said to begin (at least in a noticeable way) with Errico Malatesta. This article began by looking briefly at his 1900 visit to Havana. However, this was not Malatesta’s first foray into Latin American anarchist politics. In 1885 he left Italy for Argentina where he helped to organize and lead unions and resistance societies while engaging in debates over the appropriate direction for anarchism to evolve. Prominent men and women traveled extensive networks promoting the anarchist ideal and in doing so were often afforded celebrity status by locally based anarchists wherever they ventured. Thus, when someone like Pedro Esteve traveled from New York to Tampa, Florida or Malatesta ventured to Havana or fellow travelers like the freethinker Belén de Sárraga traveled the Americas in the 1910s giving talks attacking the Catholic Church and promoting rationalist schools, these visits were covered and editorialized in the local anarchist press (and in news reports sent abroad to other anarchist papers) in the same way that mainstream newspapers would cover a visiting foreign dignitary.16 In fact, the talks, parades, festivals, and other anarchist cultural events that were staged around these celebrity anarchist visits often generated considerable coverage (and often condemnation) from the mainstream media. These traveling anarchists wandered between countries and continents, lending their activist voices to the development of local movements while helping to infuse these movements with a broader anarchist international consciousness. At the same time, these wandering radicals became the faces of the networks that were as important in network maintenance as flows of funds and newspapers. When internationally recognized anarchists traveled the networks, their visits reinforced in local anarchists’ minds that what they were doing was important and recognized in circles far removed from the anarchist working-class enclaves of Havana, New York City, Los Angeles, or Buenos Aires. Visits could generate enthusiasm and thus funds for various anarchist projects. As such, the visits reinvigorated anarchist mobilization wherever these anarchists went. Anarchist press coverage of these visits not only spread around a city or country. The anarchist press also was exported along and across the networks, enabling readers in the far-flung reaches of the Americas to read about the visits and perhaps better connect their local desires and initiatives with those of their compañeros around the Americas and Europe. We should also not discount the importance of linguistic connections and their central roles in these networks of rank-and-file anarchist migrants. Of course, the vastness of Latin America geographically was made somewhat smaller by the fact that the majority of these peoples spoke Spanish. Thus, Spanish was the lingua franca of most of these expansive, overlapping networks that linked the Americas to one another and to Spain. However, while one could find non-Spanish anarchist newspapers in Latin America (Portuguese of course in Brazil, as well as Quechua in the Andes and German in Brazil), Italian-language newspapers and pages in newspapers not written in Italian could be found. The Italian press was active along the east coast of the United States where Italian and other “Latin” anarchists interacted on regular bases. Cronaca Sovversiva[Subversive Chronicle] in Barre, Vermont was complemented by Risveglio [Awakening] in Tampa’s Latin communities. Throughout Argentina, anarchist rank-and-file migrants from Italy found work in shipyards and as itinerant laborers in the Pampas where they worked with other anarchists to create resistance societies. As a result, short-lived Italian papers could be found in Brazil and Argentina. In addition, for a brief period of time, Buenos Aires’ centrally important anarchist newspaper La Protesta Humana [The Human Protest] had a page in Italian, and so did Los Angeles’ Regeneración [Regeneration]. All of these examples reflect the strong Italian presence at both ends of the Western Hemisphere. Editors of the newspapers recognized that rank-and-file supporters needed their own papers (or at least pages). But also it was these same rank-and-file who purchased copies of Italian-language newspapers, such as La Questione Sociale [The Social Question] from Italy and then the US. While migrating anarchists were the flesh of the networks, their newspapers were just as vital, as suggested in the paragraphs above. The newspapers were primarily organizational tools that disseminated ideas and news with anarchist critiques for local and national readers. However, the newspapers were equally transnational network tools of organization and consciousness raising. While intellectuals helped to frame the movement with their theoretical tracts and their cultural productions, average people did basic organizing and writing. They used anarchist media to help frame not only, say, Argentinean or Peruvian or Cuban anarchism but also Río de la Plata, Andean, and Caribbean anarchism of their respective regional networks. The writers representing small anarchist groups formed parts of larger regional networks, utilizing anarcho-journalism to write their own histories, frame a vision of the regions that challenged local and regional hegemonic elite, and forge a transnational social movement designed to create an anarchist future for the Americas. Several anarchist newspapers played key local and transnational roles, including La Protesta Humana in Buenos Aires, Regeneraciónin Los Angeles, and ¡Tierra! [Land!] in Havana. These newspapers served multiple interlocking functions that help us understand their roles as the central newspaper in their city and country of publication as well as the anarchist networks for which they were often hubs in the early twentieth century. First, the papers provided a space for movement intellectuals and rank-and-file activists to report news, agitate, and frame their struggle against the elite. Second, because of these newspapers’ central importance and long-running status, they became the main channel by which anarchists could follow developments around the country, the region, the hemisphere, and the globe—collecting money for publishing purposes and raising funds for distribution to various political activities important to local, national, and regional groups. Consequently, in examining the role of ¡Tierra!, Regeneración, La Protesta Humana, and numerous other regularly published newspapers in the Americas, one can focus on writers’ correspondence from throughout the networks and the important financial contributions that said writers collected and sent with their letters and columns. The correspondence helped to inform readers everywhere of events taking place throughout the network. In this way, everyday people who were politically active wrote to the paper to describe their concerns and local issues. In so doing, these “native reporters” framed the larger movement to reflect local concerns while readers gained important national and international consciousness by reading these columns.21 In addition, when writers from outside Havana, Los Angeles, Buenos Aires, and other hub cities published in their newspapers, they could expect those published columns to be read in the areas of creation when the next issue, say, of ¡Tierra! arrived for distribution in small towns, port cities, sugar mills, and construction sites. Thus, anarchists from Cienfuegos, Cuba or Caguas, Puerto Rico or Gatún, Panama wrote about Cuban, Puerto Rican and Panamanian issues respectively. Their articles were published in Havana one week and read by their comrades around Cuba, Puerto Rico, Panama and back home the next week. These journalistic contributions often included monetary contributions. Most of these contributions were published on the last page of these newspapers. By following the money that came with the writings, we can trace how the movement media was financed from throughout one country and abroad. Frequently, those financial contributions were collected by one person, often in the name of a local anarchist group, and the names of individual contributors were published. The published names allow us to trace movements of anarchists across the region as well. The names and money listed also provide insight into the numbers of people willing to forsake a bit of their already small wages to finance a newspaper with whose ideals they agreed. Ultimately, anarcho-journalism provided a space for average people to have a voice but just as importantly it should be noted that not everyone could voice with their pen; sometimes the money they sent to the newspaper’s editors hundreds of miles away spoke just as loudly for them. Anarchists from Italy played central roles in some of these media networks. For instance, Italians migrated in great numbers to Brazil and settled not only in the large cities but also throughout the country in smaller towns and cities. Anarchists were among these migrants. In 1892, the country’s first anarchist newspaper (Gli Schiavi Bianchi) [White Slaves] was published in São Paulo by a group of Italian anarchists—a full decade before the city’s first Portuguese-language paper.22 Anarchists from Italy also played roles in the Cuban War for Independence from 1895-1898. This was mostly based out of southern Florida in the United States, where Cuban exile communities and a multi-national labor force organized to fight against Spanish imperial rule. During the 1890s, some Italian anarchists left Florida, picked up guns, and fought in Cuba, including Orestes Ferrera. In 1895, Ferrara was living and working in Tampa when war broke out. Sympathetic to anarchism, he traveled to Cuba in 1896 to fight for the revolutionaries.23 After the war, he remained in Cuba, holding multiple positions in Cuban politics. While Ferrara abandoned anarchism, other Italians remained part of the fabric of the radical Latin enclave that was southern Florida. Between 1900 and 1902, they published four Italian-language newspapers in Tampa and Key West.24 Lingering Italian radicalism in Florida led to Italian anarchists publishing more newspapers. For instance, in the early 1910s, they published Risveglioin Tampa.25 They remained a constant presence in Tampa’s Latin worker and radical communities, so that when the Great War broke out and the US declared war in 1917, all Latin anarchists in the city found themselves under constant surveillance, falling prey to the US Red Scare during and after the war. Italian anarchists worked with the anarchist press in other Latin communities in the United States as well. For instance, from July 1911 to April 1912, L’Era Nuova’s [New Era] former editor Ludovico Caminita left Paterson, New Jersey and relocated in Los Angeles, California. There, he worked with the PLM and the Flores Magón brothers. During this short stint, he published an Italian-language section in the PLM’s weekly newspaper Regeneración. From July 1911 to April 1912, Regeneración published an Italian column written by Caminita, and several months during this time the newspaper published a full Italian-language edition.26 In 1911 and 1912, Caminita lectured throughout the US, helping to sustain global support for the Flores Magón brothers and the PLM.27 Caminita’s work in defense of the PLM was important because it challenged other Italian anarchists based in the United States who joined certain international efforts to discredit the PLM as a “political party” interested only in taking power and in the interests of Mexicans only. A less obvious component of these networks pertains to the role of anarchist culture, especially fiction and theater. These worked in at least two—generally complimentary—ways. First, anarchist authors published works that were then distributed throughout the networks. Sometimes these were novels published and then distributed, often through serialization in the newspapers or simply through advertisements and mail-order. Less frequent was the staging of plays in network locations far removed from the original point of creation so that characters, plots, and themes were transported unchanged from location to location. Second, anarchist cultural productions could portray themes that were both “universal” in nature and thus located in no specific place, or themes that were located in recognizable locations and times whether these were original to the location of writing or not. Roughly 650 Spanish-language anarchist novels written by authors based in Spain and Latin America were published in Spain in the 1920s and the 1930s. The La Novela Ideal and La Novela Libre [The New Ideal and The Free Novel] series were sold and distributed across all of the American networks, and in fact the first of each series was written by the Cuba-based Adrián del Valle.28 These novels—and the dozens of long and short works of fiction published by anarchists from the early 1900s onward—sometimes explored universal themes like capitalist greed, exploitation of women and children, the noble work of prostitute heroines or revolutionary mothers, the hypocrisy of the Catholic Church, and the celebration of strikes and revolutionary uprising. These were internationally recognized anarchist topics that could be read and understood by followers wherever they were sold and distributed. Less frequent were works that were set in specific locations. For instance, del Valle and his Cuban-born anarchist comrade Antonio Penichet both published novels set during the Cuban War for Independence from Spain in the 1890s, but the themes that emerge from these novels are universal: the exploitation of workers and women, corrupt politicians, repression of strikes, and anti-militarism—themes relevant to readers throughout the networks, regardless of their knowledge of Cuban history. Del Valle offers a different use of internationalism in his fiction with the short novel De maestro a guerrillero [From Teacher to Guerrilla Fighter] situated during the Mexican Revolution. A school teacher finds his school shuttered by a conservative land owner whose son then rapes the teacher’s indigenous girlfriend. He puts down the chalk and picks up a gun to fight in a guerrilla war for communal land redistribution.29 Whether such works were published in book form and sold, or serialized in newspapers and distributed throughout the hemisphere, readers (or people who had the stories read to them aloud) could come to understand both anarchist themes and some history. The literature became a cultural tool to create a revolutionary consciousness in local, national, regional, hemispheric, and global readerships. What we see then is that just like migrants and newspapers, anarchist culture could readily be produced in one location, used to generate movements locally and nationally, while also being distributed far and wide along existing networks to help raise anarchist consciousness. Viewers of plays and readers (or listeners) of fiction could gain another means by which to see that their local struggles were global in nature. The publication, selling, distribution, and performance of this culture throughout the networks provide more means for understanding how the networks functioned in local and national contexts across such vast geographical expanses. Anarchist internationalism played out in different ways depending often on local contexts. As we know, anarchists had to deal with local and national realities; however, anarchists considered themselves internationalists who formed and maintained regional networks that were linked together to form a global series of overlapping networks. While it is one thing to recognize these patterns, what about anarchist efforts to create a more hemispherically unified body that recognized local, national, and regional autonomy? In Latin America, one such effort was the 1929 conference of anarchists in Buenos Aires that occurred simultaneously with a similar conference of Communists and another conference of hemispheric police departments. However, the first such attempt appears to have arisen in 1925 when anarchists in the Panamanian Isthmus sought to create an “Anarchist Pan-Americanism” by organizing the First Inter-Continental Congress of Anarchists to be held in November in Panama City. The ideal of Pan-Americanism dates to the 1820s when both the United States government and the South American liberator Simón Bolívar sought to create hemisphere-wide associations for mutual support. Latin Americans rejected the United States’ Monroe Doctrine of supposed mutual self-defense against European monarchical re-subjugation of the Western Hemisphere, but there was no success in establishing Bolívar’s dream of a region that united the Spanish-speaking lands in defense, cooperation, and efforts to liberate the remaining colonies of Cuba and Puerto Rico. In addition, both efforts were state-to-state efforts, i.e., national alliances into some super state structure—something that anarchists would reject. Unfortunately, Rodríguez’s individualist anarchist politics turned hostile and he began a very public transnational war of words in late 1911 and early 1912. He attacked the Mexican Revolution and Ricardo Flores Magón as nationalistic. He leveled attacks on anarcho-communists and syndicalists for their supposed belief in imposed structure and hierarchy, and he condemned his former colleagues for betrayal. One of these was his former comrade Sem Campo from Italy. Campo had worked with Rodríguez to bring out El Único and had been a trusted ally in anti-authoritarian campaigns in the Zone. Campo’s honor was so besmirched by Rodríguez’s public denunciations that he filed legal charges against Rodríguez, which only made Rodríguez even more suspicious of an anarchist who used the courts to attack another anarchist.35 However, the transnational networks responded to Rodríguez’s abuses. Anarchists in Argentina, California, Cuba, and Spain published disparaging accounts of Rodríguez from his former associates. These newspapers and accounts were shared across the multiple, overlapping networks.36 In effect, this transnational publishing actually became a form of “policing” the networks and soon Rodríguez fled the Canal Zone. While authorities put down the strike, some anarchists in Panama remained and new anarchists arrived to help generate a Pan-American anarchist presence. In 1919, the Argentina anarchist educator Julio Barcos arrived. He joined Blázquez de Pedro and other progressives to publish Cuasimodo: Magazine Interamericano. The magazine published leftist authors from throughout the Americas while advocating a non-nation state form of Pan-Americanism. For instance, Blázquez de Pedro called for a Raza Latina that would unite all peoples of Spanish, French, Portuguese, and Italian descent. Non-Latin anarchists seem absent from this anarchist vision. One can only imagine what indigenous anarchists in Peru or Afro-Brazilian anarchists would make of his “Raza Latina” ideas.38 However, anarchists were not afraid to celebrate “nationality” while expressing hatred for state-defined “nationalism.” Building on the writings of Bakunin and others, anarchists believed that decentralized concepts of autonomy and solidarity could more easily evolve among peoples who shared historical and cultural markers. After all, it was common for, say, Spanish-speaking anarchists when they migrated to some place like New York City to work most closely with fellow Spanish-speakers rather than activists who spoke German, Russian, or something else. Consequently, in Panama one could be an internationalist while simultaneously embracing aspects of one’s Latin heritage. Transnational networks composed of financial, ideological, journalistic, and human migrations connected geographically dispersed anarchists, who in turn raised money and consciousness locally to support their comrades across the networks. When anarchists from Italy arrived in the Americas, sometimes they found existing locally-based anarchist groups with whom to work and organize. Sometimes they were the first anarchists in a place and thus launched important anarchist initiatives like newspapers. Other times they were simply individuals who became part of the anarchist rank-and-file and did what they could to help advance the anarchist cause in distinct local and national contexts across the hemisphere. Their presence—large or small—helped anarchists everywhere to imagine their own local situations, problems, and triumphs in a larger global consciousness. The largest groups of anarchists from Italy were found in Argentina and Brazil, with some in Uruguay, Cuba, south Florida and Los Angeles in the US, and Panama. They could be found in various roles of network maintenance, and interacted with non-Italian speaking workers and activists, performing plays, publishing Italian-language newspapers or Italian pages in the Spanish-language press, and agitating with fellow workers in strike activity. The Italian press was particularly important in several countries. Max Nettlau counted approximately forty Italian newspapers in Latin America and southern Florida from the 1890s to 1910s.42 In short, Italian anarchists in Latin America served an added role as “cultural brokers” by linking local, national, and regional anarchist concerns across the Americas with global dimensions of the Italian anarchist diaspora. When examining anarchist networks in the Americas, we need to keep in mind not just the movements of people, ideas, newspapers, and money. Just as important is to recall and develop the locations into which anarchists moved and from which they left. These local nodes—shaped by both national and international pressures—likewise conditioned how the networks and linkages between nodes operated. The historiography of anarchism in Latin America has privileged local and especially national studies of anarchist movements. These remain vital; however, less obvious in these histories has been the important role of transnational flows in shaping local and national movements. This is where studies of transnational anarchist networks can help us better understand the dots on the map. After all, these dots did not operate in isolation. Likewise, we need these histories of the dots to better contextualize the links between the localities that created these networks because these were not ahistorical networks. They themselves were conditioned by what happened in the nodes. Across the Americas, anarchists created organizations, schools, health facilities, restaurants, newspapers, and fiction. These were forged in local environments conditioned by the nuances of local and national politics, economic structures, and historical-cultural developments. As such, anarchists tended to shape anarchism’s basic tenets to reflect local and national realities in order to attract followers and better interpret local realities through an anarchist lens. These local and sometimes national organizations were themselves intimately linked to one or more, often overlapping, transnational networks that connected anarchists who migrated from place to place, sent money to support causes, wrote news accounts from around the network, created and disseminated anarchist fiction, and staged anarchist theater. Thus, no locale was truly isolated; rather, it was linked to other nodes in a network that itself was likely connected to one or more other networks. The Caribbean is an especially good example of this. The Caribbean network—with its hub in Havana—was linked to other networks that connected the islands and Central America with the US East Coast network, the trans-Atlantic network to Spain, the Mexican network via Los Angeles and the PLM’s Regeneración, and the Pacific network linking Panama southward to an Andean network of Ecuador, Peru, and Chile. Isolation was neither a realistic option, nor a desired goal. This anarchist anti-authoritarian cartography forces us also to re-visualize Latin America away from a national focus defined by contemporary political boundaries to a hemisphere where activists easily traversed these boundaries that ideologically they considered irrelevant and unjust. In many ways, the local organizations were as connected to their transnational allies as to their “national” ones. Tampa’s anarchists, for example, were more aligned with Cuba and Puerto Rico than with, say, Detroit, San Francisco, or Barre, Vermont. Just as national borders became less relevant for anarchist activists (even for their governmental nemeses who also engaged in transnational policing of “dangerous foreigners”), the networks gave global reach and consciousness to local activists just as the local organizations gave material, ideological, and political support to anarchists traveling between the nodes. This is not to downplay the importance of anarchists in one country reaching out and forming alliances, associations, and unions with other anarchists in one country. It is to say, though, that all levels of anarchism need to be considered in a much more cohesive fashion than historians have tended to do. When we look at the interplay between the transnational/transregional and the local/national, migration plays a fundamental role in our analyses. In Latin America, that has generally focused on anarchists migrating to and from Spain and increasingly on anarchists migrating throughout Latin America. However, besides the occasional German anarchist migrant communities like in New York or Brazil or Jewish anarchists to Argentina, Italians occupy an important part of this story. While anarchists from Italy played small, uneven roles in most of Latin America, their presence cannot be dismissed. That presence is best understood when we look at how anarchist migrants from Italy (and in fact from everywhere) traveled these networks and the local contexts into which they settled, agitated, and sometimes fled. In Latin America, they were another “Latin” brethren whose experiences helped non-Italian anarchists to compare their situations, modify their worldviews, and see their struggles as more than just local but instead global in orientation. El Nuevo Ideal, March 9, 1900, pp. 1-2; March 22, 1900, p. 5; March 29, 1900, p. 1; April 6, 1900, p. 1. Diario de la Marina, March 6, 1900, p. 5. La Revista Blanca (Barcelona), December 1, 1932, pp. 400-402. See also, Davide Turcato, Making Sense of Anarchism: Errico Malatesta’s Experiments with Revolution, 1889-1900 (New York, Palgrave Macmillan, 2012). Kirwin Shaffer, “An Anarchist Crucible: International Anarchist Migrants and Their Cuban Experiences, 1890s-1920s”, in Mauricio Font and Araceli Tinajero (eds), Handbook on Cuban History, Literature, and the Arts. (Boulder, Paradigm Press, in press 2014). See Kirwin Shaffer, Anarchism and Countercultural Politics in Early Twentieth-Century Cuba. (Gainesville, University Press of Florida, 2005). Steven Hirsch and Lucien van der Walt, “Final Reflections: The Vicissitudes of Anarchist and Syndicalist Trajectories, 1940-Present”, in Steven Hirsch and Lucien van der Walt (eds), Anarchism and Syndicalism in the Colonial and Postcolonial World, 1870-1940: The Praxis of National Liberation, Internationalism, and Social Revolution (Leiden, Brill, 2010), p. 400. Geoffroy de Laforcade and Kirwin Shaffer, “Introduction: The Hidden Storyline of Anarchism in Latin American History”, in Geoffroy de Laforcade and Kirwin Shaffer (eds), Anarchism in Latin America (Gainesville, University Press of Florida, forthcoming 2014). See Amparo Sánchez Cobos, Sembrando Ideales: Anarquistas españoles en Cuba (1902-1925) (Sevilla, Consejo Superior de Investigaciones Científicas, 2008); Joan Casanovas, Bread, or Bullets! : Urban Labor and Spanish Colonialism in Cuba, 1850-1898, (Pittsburgh, University of Pittsburgh Press, 1998); Kirwin Shaffer, Anarchism and Countercultural Politics in Early Twentieth-Century Cuba, (Gainesville, University Press of Florida, 2005); Edilene Toledo and Luigi Biondi, “Constructing Syndicalism and Anarchism Globally: The Transnational Making of the Syndicalist Movement in São Paulo, Brazil, 1895-1935”, in Steven Hirsch and Lucien van der Walt (eds), Anarchism and Syndicalism in the Colonial and Postcolonial World, 1870-1940: The Praxis of National Liberation, Internationalism, and Social Revolution (Leiden, Brill, 2010), pp. 363-93; Beatriz Loner, Construção de classe. Operários de Pelotas e Rio Grande (1888-1930), (Pelotas: Ed.UFPel, 2001); Beatriz Loner, “From Workers’ Militancy to Cultural Action: Brazilian Anarchism in Rio Grande do Sul, 1890s-1940s”, in Geoffroy de Laforcade and Kirwin Shaffer (eds), Anarchism in Latin America (Gainesville, University Press of Florida, forthcoming 2014). See Ricardo Melgar Bao, Sindicalismo y milenarismo en la region andina del Perú (1920-1931) (Mexico: Instituto Nacional de Antropología, 1988); Steven Hirsch, “Peruvian Anarcho-Syndicalism: Adapting Transnational Influences and Forging Counterhegemonic Practices 1905-1930”, in Steven Hirsch and Lucien van der Walt (eds), Anarchism and Syndicalism in the Colonial and Post-Colonial World, 1870-1940. The Praxis of National Liberation, Internationalism, and Social Revolution (Leiden, Brill, 2010), pp. 227-271; John Hart, Anarchism and the Mexican Working Class, 1860-1931 (Austin, University of Texas Press, 1978); Shawn England, “Magonismo, the Revolution, and Anarchist Appropriation of Imagined Mexican Indigenous Identity”, in Geoffroy de Laforcade and Kirwin Shaffer (eds), Anarchism in Latin America. (Gainesville, University Press of Florida, forthcoming 1914). Steven Hirsch and Lucien van der Walt, “Rethinking Anarchism and Syndicalism: The Colonial and Postcolonial Experience, 1870-1940”, in Steven Hirsch and Lucien van der Walt (eds), Anarchism and Syndicalism in the Colonial and Post-Colonial World, 1870-1940. The Praxis of National Liberation, Internationalism, and Social Revolution (Leiden, Brill, 2010), pp. xxxi-lxxii; Kirwin Shaffer, Black Flag Boricuas: Anarchism, Antiauthoritarianism, and the Left in Puerto Rico, 1897-1921 (Urbana, University of Illinois Press, 2013). I credit this phrase in my mind with one of the leading historians of Chinese anarchism Arif Dirlik who used it in a conversation about global anarchism over beers in an old Amsterdam bar in 2006. 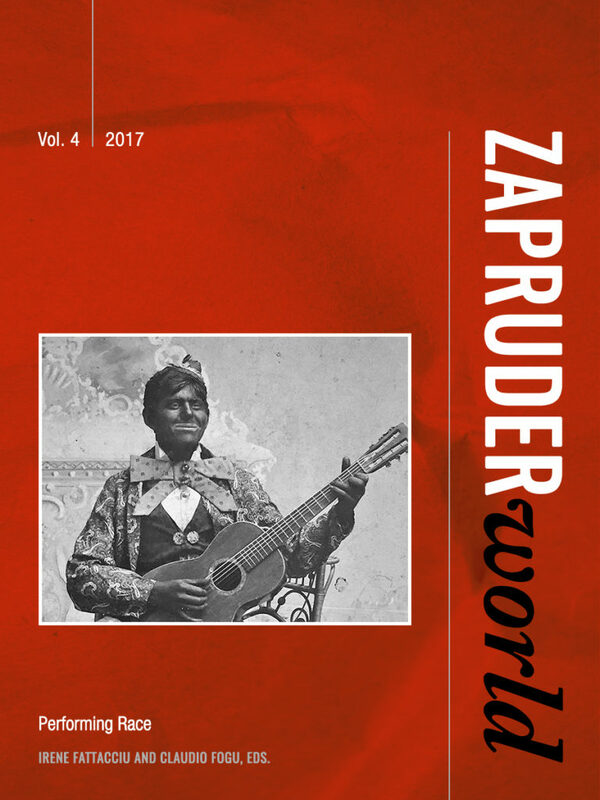 See Jacinto Barrera Bassols, Los rebeldes de la bandera roja: textos del periódico anarquista ¡Tierra!, de la Habana, sobre la Revolución Mexicana (Mexico City, Instituto Nacional de Antropología e Historia, 2011); Kirwin Shaffer, “The Mexican Revolution’s Impact on Anarchism in the Caribbean”, Paper presented at the Illustrating Anarchy and Revolution: Mexican Legacies and Global Change Conference, Austin, Texas, February 2014. Steven Hirsch, “Peruvian Anarcho-Syndicalism: Adapting Transnational Influences and Forging Counterhegemonic Practices 1905-1930,” in Steven Hirsch and Lucien van der Walt (eds), Anarchism and Syndicalism in the Colonial and Post-Colonial World, 1870-1940. The Praxis of National Liberation, Internationalism, and Social Revolution (Leiden, Brill, 2010), pp. 227-271; María Migueláñez Martínez, “Anarquistas en red. Una historia social y cultural del movimiento libertario continental (1920-1930).” Paper presented at the Encontro Internacional da ANPHLAC, Goiás, Brazil, July 2010. Geoffroy de Laforcade, “Federative Futures: Waterways, Resistance Societies, and the Subversion of Nationalism in the Early Twentieth-Century Anarchism of the Río de la Plata Region”, Estudios Interdisciplinarios de América Latina y el Caribe, 22, 2 (July-December 2011), pp. 71-96; Beatriz Loner, “From Workers’ Militancy to Cultural Action: Brazilian Anarchism in Rio Grande do sul, 1890s-1940s”, Geoffroy de Laforcade and Kirwin Shaffer (eds), Anarchism in Latin American History (Gainesville: University Press of Florida, forthcoming 2014). Anton Rosenthal, “Radical Border Crossers: The Industrial Workers of the World and Their Press in Latin America”, Estudios Interdisciplinarios de América Latina y el Caribe, 22, 2 (July-December 2011), pp. 39-70. On anarchism in Panama, see Hernando Franco Múñoz, Blázquez de Pedro y los orígenes del syndicalism panameño (bdigital.binal.ac.pa/bdp/tomos/XXXIX/Tomo_XXIX_P2pdf, 2007); Julie Greene, “Spaniards on the Silver Roll: Labour Troubles and Liminality in the Panama Canal Zone, 1904-1914”, International Labour and Working-Class History, 66 (Fall 2004), pp. 78-98; Luis Navas, El movimiento obrero en Panamá (1880-1914) (San José, Editorial Universitaria Centroamericana, 1979; Kirwin Shaffer. “Panama Red: Anarchist Politics and Transnational Networks in the Panama Canal Zone, 1904-1913”, Geoffroy de Laforcade and Kirwin Shaffer (eds), Anarchism in Latin America (Gainesville, University Press of Florida, forthcoming 2014). The key work for thinking about nodal cities in radical networks is Ilham Khuri-Makdisi’s The Eastern Mediterranean and the Making of Global Radicalism, 1860-1914 (Berkeley, University of California Press, 2010). The book and Anthony Gorman’s “‘Diverse in Race, Religion and Nationality…but United in Aspirations of Civil Progress’: The Anarchist Movement in Egypt 1860-1940”, in Steven Hirsch and Lucien van der Walt (eds), Anarchism and Syndicalism in the Colonial and Postcolonial World (Leiden, Brill, 2010), pp. 3-31 also provide perspectives on the role of Italian anarchists in the Mediterranean with which one can compare their roles in the Americas. For discussions and Belén de Sárraga’s tour in the Caribbean, see her book El clericalismo en América a través de un continente (Lisbon, José Assis & A. Coelho Dias, 1915); Kirwin Shaffer, Black Flag Borciuas: Anarchism, Antiauthoritarianism, and the Left in Puerto Rico, 1897-1921 (Urbana: University of Illinois Press, 2013) and, “An Anarchist Crucible: International Anarchist Migrants and Their Cuban Experiences, 1890s-1920s”, Mauricio Font and Araceli Tinajero (eds), Handbook on Cuban History, Literature, and the Arts (Boulder, Paradigm Press, in press 2014). For a discussion of the concept of “go-between” among anarchists, see Constance Bantman, “The Militant Go-between: Émile Pouget’s Transnational Propaganda (1880-1914)”, Labour History Review 74, 3 (December 2009), pp. 274-87. Beatriz Loner, “From Workers’ Militancy to Cultural Action: Brazilian Anarchism in Rio Grande do Sul, 1890s-1940s”, in Geoffroy de Laforcade and Kirwin Shaffer (eds), Anarchism in Latin American History Anarchism in Latin American History (Gainesville, University Press of Florida, forthcoming 2014). On how this worked in the Caribbean Basin, see Kirwin Shaffer, “Havana Hub: Cuban Anarchism, Radical Media, and the Trans-Caribbean Anarchist Network, 1902-1915”, Caribbean Studies 37, 2, No. 1&2 (2009), pp. 45-81. On this pan-leftist interaction and the writings of the Argentine anarchist Julio Barcos, see the Panama City, Panama magazine Cuasimodo that he helped to run from 1919 to 1920. For theoretical considerations on anarcho-journalism, see Chris Atton, “Green Anarchist: A Case Study of Collective Action in the Radical Media”, Anarchist Studies 7, pp. 25-49; John D. H. Downing, Radical Media: Rebellious Communication and Social Movements (Thousand Oaks, Sage Publications, Inc. , 2001); Kirwin Shaffer, “Havana Hub: Cuban Anarchism, Radical Media and the Trans-Caribbean Anarchist Network, 1902-1915”, Caribbean Studies 37, 2 (July-December 2009), pp. 45-81. See Edilene Toledo and Luigi Biondi, “Constructing Syndicalism and Anarchism Globally: The Transnational Making of the Syndicalist Movement in São Paulo, Brazil”, Steven Hirsch and Lucien van der Walt (eds), Anarchism and Syndicalism in the Colonial and Postcolonial World (Leiden, Brill, 2010), pp. 363-392. See, for instance, the Tampa anarchist newspaper El Esclavo, June 5, 1897, p. 4. Max Nettlau, A Contribution to an Anarchist Bibliography of Latin America (Buenos Aires, Editorial La Protesta, 1926), pp. 12-13. These were La Voce dello Schivo (1900 and published with a Spanish version La Voz del Esclavo), La Federazione (1900-01), L’Alba sociale (1901), and El Resistente (1901-02). See issues of Risveglio, 1913-16. See David Struthers, “The World in a City: Transnational and Inter-Racial Organizing in Los Angeles, 1900-1930” (Ph. D., Carnegie Mellon University, 2010, p. 203. See Kenyon Zimmer, “‘The Whole World is Our Country’: Immigration and Anarchism in the United States, 1885-1940” (Ph. D., University of Pittsburgh, 2010, pp. 210-250. Adrián del Valle, Mi amigo Julio (Barcelona, La Revista Blanca, n.d.) for the La Nueva Ideal series and Todo lo vence el amor (Barcelona, La Revista Blanca, n.d.) for the La Novela Libre series. Antonio Penichet, ¡Alma Rebelde!, novela histórica (Havana, El Ideal, 1921) and La vida de un pernicioso (Havana, Avisador Comercial, 1919); Adrián del Valle, De maestro a guerrillero (Barcelona, La Novela Ideal, n.d). See Edilene Toledo and Luigi Biondi, “Constructing Syndicalism and Anarchism Globally: The Transnational Making of the Syndicalist Movement in São Paulo, Brazil, 1895-1935” in Steven Hirsch and Lucien van der Walt (eds), Anarchism and Syndicalism in the Colonial and Postcolonial World (Leiden, Brill, 2010), pp. 363-392. Palmiro de Lidia (Adrián del Valle), “Fin de fiesta, cuadro dramático”, (New York, n.p., 1898). See discussions of non-Cuban performances in Kirwin Shaffer, Black Flag Boricuas: Anarchism, Antiauthoritarianism, and the Left in Puerto Rico (Urbana, University of Illinois Press, 2013, pp. 43-45, 50, 81. See Proceedings of the First Canal Commission. March 22, 1904 to March 29, 1905 (Washington, Isthmian Canal Commission, 1905), pp. 372-3; David Viñas. Anarquistas en América Latina (Mexico City, Editorial Katun, 1983), p. 99. The title “El Único/The Ego” was based on the individualist anarchist Max Stirner’s book The Ego and His Own, translated into Spanish as El Único y su propriedad. Kirwin Shaffer, “Contesting Internationalists: Transnational Anarchism, Anti-Imperialism and US Expansion in the Caribbean, 1890s-1920s”, Estudios Interdisciplinarios de América Latina y el Caribe. 22, 2 (2011), pp. 24-26. El Único, November 12, 1911, inside front and back covers; January 12, 1912, pp. 61-2, 64-5. Regeneración. November 25, 1911, p. 1; ¡Tierra!, December 2, 1911, p. 3; January 20, 1912, p. 2; February 17, 1912, pp. 3-4; February 24, 1912, p. 3; April 27, 1912, p. 4. For the 1916 strike, see the following Michael Conniff, Black Labor on a White Canal: Panama, 1904-1981 (Pittsburgh, University of Pittsburgh Press, 1985), pp. 50-3 as well as the following records in the Isthmian Canal Commission in the United States National Archives: Letter from Victor Recoba to Colonel Harding; “La huelga de los trabajadores de la zona” in La Estrella; and, manifesto “A todos los Trabajadores. Al Público imparcial” in ICC 1914-34, 2-P-59; Memorandum for Captain Mitchell, Oct. 4, 1916, and Letter from Resident Engineer to Acting Governor, Oct. 5, 1916 in ICC 1914-34, 2-P-59; Memorandum for Capt. Mitchell, Oct. 6, 1916; manifesto “A todos los que trabajan/To all who work,” Oct. 7, 1916; Memorandum to Captain Mitchell, Oct. 12, 1916 in ICC 1914-34, 2-P-59; Manifesto “A todos los que trabajan/To all who work” and “Dredging Division Strikers Denounce Canal Treatment” from Star and Herald, Oct. 9, 1916 in ICC 1914-34, 2-P-59; Re: Maritime Union Society, Oct. 9, 1916 in ICC 1914-34 2-P-59; Memorandum to Captain Mitchell, Oct. 10., 1916 and Colonel Harding’s Statement to “Strike” Committee in ICC 1914-34, 2-P-59; Letter to His Excellency, Don Ramon M. Valdes, Oct. 14, 1916 in ICC 1914-34, 2-P-59; Statement of Sydney King, Oct. 14, 1916 and Memorandum for the Acting Governor, Oct. 16, 1916 in ICC 1914-34, 2-P-59; Manifesto “¡Adelante! Siempre adelante!” and Memorandum for the Acting Governor, Oct. 16, 1916 in ICC 1914-34, 2-P-59; Manifesto “¡Alerta Compañeros!/Be on the Alert Comrades!, Oct. 16, 1916, italics in the original; Cablegram sent no. 36, Oct. 17, 1916; Memorandum for file, Oct. 16, 1916 in ICC 1914-34, 2-P-59; Memorandum to the Acting Governor, Oct. 17, 1916; Manifesto “To All Nationalities of Colon”; Manifesto “Viva la Huelga! Abajo los tiranos!” in ICC 1914-34, 2-P-59; To the Chief of Police at Balboa, Oct. 19, 1916; Memorandum for the Acting Governor, Oct. 20, 1916; Letter to Lt.-Col. Chester Harding from the District Attorney in Ancón, Panama Canal, Oct. 25, 1916 in ICC 1914-34, 2-P-59; Memorandums for Chief of Division from Sgt. #4 Zone Police, Feb. 20, 1917 and March 30, 1917 in ICC 1914-34 2-P-59. José María Blázquez de Pedro, Observaciones de un andariego en Panamá: crónicas y artículos, sin prólogo ajeno (Panama, Talleres Gráficos de “El Tiempo”, 1922), pp. 128-30. Cuasimodo (Panama City), June 1919, pp. 32-3; August 1919, p. 99; October 1919, pp. 21-2; December 1919, p. 55; June 1920, pp. 39-48; August 1920, p. 43. Ibid, August 1920, pp. 46-7. Marco A. Gandásequi, Las luchas obreras en Panamá (1850-1978) (Panama, Talleres Diálogo 1980), pp. 35, 52, 58-59; Ricaurte Soler, Panamá: historia de una crisis (Panama, Siglo XXI, 1989) pp. 50-5; Hernando Franco Múñoz, Blázquez de Pedro y los orígenes del syndicalism panameño (bdigital.binal.ac.pa/bdp/tomos/XXXIX/Tomo_XXIX_P2pdf, 2007), pp. 176 and 189-91; El Inquilino (Panama City, Panama), August 23, 1925, pp. 1-2 and 4; Franco Muñoz; “Arango Blamed for First Shot, October 23, 1925” in ICC 1914-34, 80-H-5/clippings; New York Times, October 13, 1925, p. 1; October 14, 1925, p. 1; “Order Restored in Panama,” Oct. 14, 1925 in ICC 1914-34, 80-H-5/clippings; Diego Abad de Santillán Collection. General Correspondence. José C. Valadés to Abad de Santillán, folder 282. Letters dated May 25, 1925; August 15, 1925; September 8, 1925; September 25, 1925; October 16, 1925; October 17, 1925; and, November 4, 1925, IISG, Amsterdam, The Netherlands; “Panama Congress Planned by Reds,” Oct. 30, 1925 in ICC 80-H-5/clippings; US State Department Weekly Country Report from Panama for 10/31 to 11/7 on communist leanings of Inquilinos with Enclosures, Nov. 14, 1925, 819.00B in United States National Archives, RG 59 Internal Affairs of Panama. General Conditions; Report on Tenents League from Charge d”Affaires, Panama Canal to Secretary of State, Oct. 3, 192, 819.502/3 in RG 59. Internal Affairs of Panama. Labor. Unions and Organizations. US National Archives, College Park, MD; Report on Pedro, Jose m.B.de from Charge d’Affaires, Panama Canal to Secretary of State, Oct. 3, 1925, 319. 5224 in RG 59 Relating to Political Relations Between the US and Panama, 1910-29; Report with Enclosure on US District Court for the Canal Zone on Blázquez de Pedro’s Writ of Habeas Corpus, Nov. 10, 1925, 319.5224 in RG 59 General Records of the Department of State; US State Department Weekly Country Report from Panama for 10/31 to 11/7 on communist leanings of Inquilinos with Enclosures, Nov. 14, 1925, 819.00B in RG 59 Internal Affairs of Panama. General Conditions. See Max Nettlau, A Contribution to an Anarchist Bibliography of Latin America (Buenos Aires, Editorial La Protesta, 1926).